I don't have a set recipe for making hummus, since it is rather forgiving. This time I was out of cumin. I used a few shakes of garlic powder. Fresh is better, or so they say. I sometimes add cayenne. I have left out the olive oil with good results. Just blend up whatever suits your fancy. This isn't baking! You can add more lemon, or more tahini, leave out the olives, and add in four ounces of roasted red peppers, or whatever you desire. Blend the lemon juice, and tahini in a food processor. Add the garbanzos, olive oil, garlic, and a bit of water. Scrape the bowl, and add water as needed. If you use roasted red peppers, you can add them with the beans. Chill, or serve right away. 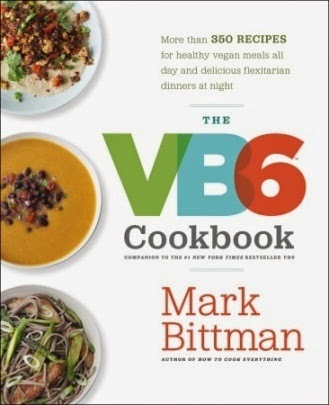 Mark Bittman devised an eating plan where he would eat a vegan diet until 6:00 PM. His dinners would include meat, which makes this cookbook offer recipes for everyone, not just strict vegans. While I don't have an interest in his recipe for steak au poivre mushrooms, or pork, asparagus, and soba, the majority of the book is filled with vegetable based recipes that are the sort that I know I will love. The photos of dishes such as sweetgreen quinoa salad, orange soup with black salsa, and eggplant meatballs, had me compiling a grocery list. 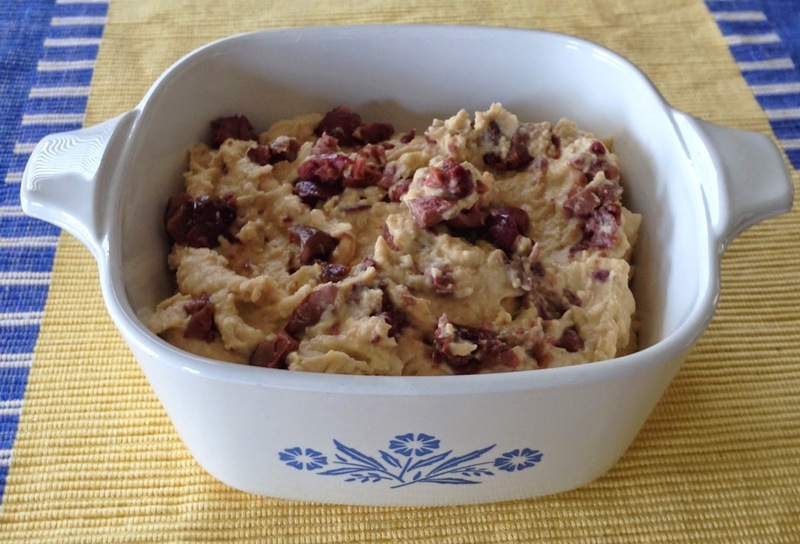 The recipes often include variations. For example, if you aren't a fan of eggplant, directions are given on switching the recipe to a mushroom, or cauliflower based recipe. Not only is that a great touch for the picky, but a boon for using what you have in the refrigerator, or what is seasonal, or on sale. All in all, this is a wonderful cookbook for anyone who eats a plant based diet, or would like some help in creating tasty vegetable dishes. It also would meat a great gift for friends who eat meat. Disclaimer: I received a free copy of this book from Blogging for Books in exchange for my review.